Bolt Top container utilized to store lunar soil samples under vacuum within the Lunar Receiving Laboratory (LRL). The container supported Apollo Missions 11 and 12, and was retired as updated storage/handling equipment was introduced commencerate with Apollo 13. 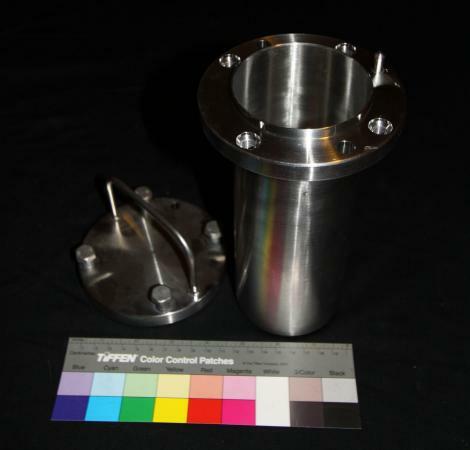 Stainless Steel was utilized to reduce the possibility of sample contamination (the containers weres sterilized prior to use.